The city walls are under attack in this free HTML5 game! Everything that stands between great success and the - seemingly - inevitable downfall is you and a pile of fruits. 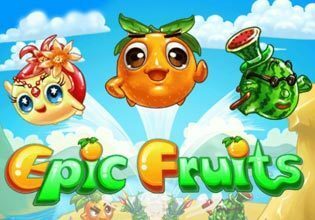 Quickly you grab your sling and start to launch the fruits into the attackers knocking them out one by one. Some fruits are able to splash on more than one attacker or even stun a couple of raiders.If the walls get damaged you can repair them, but be aware that this will cost you valuable and allows even more attacker to come close and start damaging them. Be quick, chose wisely and don't hesitate to use your mighty booster! To victory!